In the heartwarming film Big Fish, director Tim Burton brings his inimitable imagination to a journey that delves deep into a fabled relationship between a dying father and his son. The son recreates the father's elusive life in a series of legends and myths inspired by the few facts he knows, discovering both his father's great feats and his great failings. $207.377 thousand on 6 screens. For quite some time, I thought Tim Burton could do no wrong. From 1985’s Pee-wee’s Big Adventure through 1992’s Batman Returns, Burton produced a string of very strong movies. He made five flicks and he made five winners. Many will disagree, but I thought Burton started to sag somewhat with 1994’s Ed Wood. Some seem to really adore this film, but it didn’t do much for me. Granted, I need to see it again – I only watched it once – but I didn’t feel terribly impressed by it. 1996’s Mars Attacks! wowed me during my initial theatrical experience with it, and I still like it, but subsequent screenings have shown its flaws to a greater degree. Since then, Burton made two decent but unexceptional flicks. 1999’s Sleepy Hollow and 2001’s Planet of the Apes looked great and occasionally prospered but seemed too erratic and dull to become true successes. 2003 brought Burton’s most recent cinematic piece, an adaptation of the novel Big Fish. 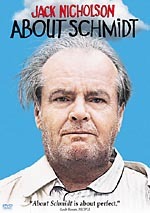 This became possibly Burton’s most acclaimed film, as it even enjoyed some talk of Oscar possibilities. That didn’t happen; the movie received only one nomination, which came for Danny Elfman’s score. Still, it was nice to hear Burton’s name mentioned with a shot at an Oscar; nobody pushed for Apes to get a Best Picture nod. Fish follows Edward Bloom (Albert Finney). Early on we learn that he loves to tell the same tall tales over and over, and this started to irritate his 30-ish son William (Billy Crudup) years earlier. When Edward grabs the spotlight at William’s wedding to Josephine (Marion Cotillard), this greatly bothers the son, and the pair effectively cease to communicate for years; they learn about each other through Edward’s wife and William’s mother Sandra (Jessica Lange), but they have no direct interaction. When Edward’s cancer worsens and he nears death, William and the heavily-pregnant Josephine fly back from their home in France so the son and father can hopefully reconcile. While the two try to come to terms before it’s too late, the movie tells Edward’s life story via his tall tales, most of which feature himself as a younger man (Ewan McGregor). Through these stories, we get a mix of reality and fantasy and learn more about the man. Most people seem to regard Fish as Burton’s most reality-based movie, and that’s probably true. Only Ed Wood also dabbles in the real world, though it takes liberties. The modern-day parts of Fish include virtually no fantasy, and since Edward’s fanciful stories clearly aren’t meant to be taken literally, we don’t have to stretch our understanding of truth to buy into them. However, Fish walks the line between the literal and the whimsical and rarely makes it clear where to draw the distinction. That works in the film’s favor, as it doesn’t allow us to buy into concise definitions of reality and fantasy. Of course we know that time didn’t really stand still when Edward saw Sandra, but Burton aptly allows us to understand the subjective nature of the memories. Does Edward believe his tall tales after all these years? Who knows and who cares? The movie lets us see the way that the two sides intermesh and become a personal form of reality. And it does so in a highly entertaining way. The many flashback stories never threaten to wear out their welcome. That’s largely because they present their own mini-movies. Fish enjoys a wide variety of tales, most of which focus on different genres. Horror, comedy, action, and romance all co-exist inside this flick, and that keeps the different segments fresh and fun. Don’t expect much historical reality – Edward’s wartime assignment will cause much head-scratching among buffs – but that’s not the point, so you need to just go with the flow. Fish also benefits from a decided lack of melodrama. Back in the present day, the flick easily could have turned badly sappy and drippy as father and son hash out their issues. Happily, Burton delivers genuine emotion without sickly sentiment. At times the movie reminds me of Forrest Gump, but Fish comes without that movie’s sugary nature and simplicity. The drama integrates well and feels like a necessary component, which allows the conclusion to pay off in a genuinely moving way. In no way will I ever consider Big Fish to be my favorite Tim Burton movie, as I simply adore too many of his earlier flicks too much. However, it may well be his most consistent and mature film to date. On one hand, I’m not 100 percent sure I want to see Burton take on more “adult” topics, as I love his warped fantasies. However, given the lackluster nature of his last few efforts, I have to endorse his change of pace, and if he continues in this vein, I look forward to his future work. 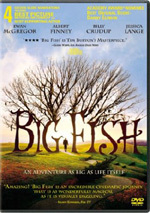 Big Fish appears in an aspect ratio of approximately 1.85:1 on this single-sided, double-layered DVD; the image has been enhanced for 16X9 televisions. A surprisingly mediocre transfer, Fish never looked terrible, but it rarely looked very good either. Sharpness presented a frequent concern. Much of the film seemed moderately ill-defined, with shots that appeared just a bit “off” and unfocused. The definition wasn’t poor, but mild softness infused most of the flick. No jagged edges or moiré effects occurred, but some fairly prominent edge enhancement appeared. Print flaws seemed absent, though the movie looked grainer than I expected. Colors varied. Unsurprisingly, the movie featured a wide array of hues that went from rather stylized more realistic. At times the colors came across as reasonably vivid and true, but they sometimes seemed somewhat runny and smeared, and they could look oddly pale as well. Blacks were fairly deep and dense, but low-light shots tended to appear somewhat thick and muddy. Fish consistently remained watchable, but this seemed like a bland and erratic transfer overall. While not spectacular, the Dolby Digital 5.1 soundtrack of Big Fish outdid the visuals. For the most part, the mix maintained a forward balance. Music showed nice stereo imaging, and the track featured a good sense of atmosphere and ambience. Occasionally we found sequences that used the spectrum well. For instance, Edward’s walk through the woods to and from Spectre presented nice activity for the spiders, bees, and monstrous trees, and some other elements during the film also brought the surrounds to life well. The soundfield never became dazzling, but it complemented the action fine. Audio quality also appeared solid. Speech was consistently accurate and firm. I noticed no problems like edginess or a lack of clarity. Music appeared bright and acceptably lively, with reasonably good range. Effects always seemed clean and accurate, and they packed a nice punch when appropriate. For example, the stomp to Karl’s walking pumped out good bass. Overall, the audio of Big Fish worked well for the movie. When we move to the DVD’s extras, we open with an audio commentary from director Tim Burton. Fans know that his tracks tend to be more than a little dry and slow-paced, so this disc’s producers wisely paired him with an interviewer whose name I couldn’t understand. They watch the film as Burton fields questions about it. The format works very well and allows Burton to give us a fairly robust look at the flick. He covers a nice variety of subjects. We learn why he took on the project as well as others who considered doing it and its personal relevance. He gets into casting choices and working with the actors. Burton discusses the visual elements of the film and provides a rationale for the use of practical pieces instead of CGI. We hear about differences between the book and the film plus many notes from the set. The track still sags occasionally, but overall this is a solid commentary. Inside the “Featurettes” area we split into two smaller domains: “The Character’s Journey” and “The Filmmaker’s Journey”. Inside the former we get three programs, beginning with Edward Bloom At Large. All of the programs use the same format, as they mix movie clips, shots from the set, and interviews. “Bloom” runs eight minutes, 44 seconds and presents comments from Burton, actors Ewan McGregor and Albert Finney, stunt coordinator Charles Croughwell They chat about the character, the different scenarios, the challenges of two actors playing the same personality, and various experiences on the set. It’s a fairly superficial piece, though McGregor’s enthusiasm and stories make it more interesting. Amos At the Circus goes for four minutes, 36 seconds as it presents remarks from actor Danny De Vito and Burton. They discuss the ringmaster character and offer some reflections on that personality. The show also seems fairly light and not particularly informative, but the shots from the set help compensate. For the final “Character’s Journey” program, we find Fathers and Sons. It fills seven minutes and 19 seconds as we hear from Burton, McGregor, Finney producers Richard D. Zanuck, Dan Jinks and Bruce Cohen, and actors Billy Crudup, Jessica Lange, and Steve Buscemi. They discuss character issues and the dynamic between Edward and William as well as general notes about fathers and sons. It’s probably the most substantial of the three “Character’s Journey” programs, as it offers reasonably nice insight into these elements. When we shift to “The Filmmakers’ Path”, we get four more featurettes. Tim Burton: Storyteller lasts six minutes, 43 seconds and includes notes from Burton, Finney, Lange, Crudup, McGregor, Buscemi, De Vito, Zanuck, Cohen, and actors Alison Lohman and Helena Bonham Carter. We learn about Burton’s interest in the script, casting, the movie’s structure, shooting the film, and working with Burton. It provides a few decent notes but remains generally puffy and without much depth. Up next we find A Fairytale World, a nine-minute and 31-second piece. It presents information from Burton, Cohen, Zanuck, Buscemi, Jinks, Carter, visual effects supervisor Kevin Mack, director of photography Philippe Rousselot, production designer Dennis Gassner, actor Matthew McGrory, and costume designer Colleen Atwood. They go into the movie’s storybook elements and the visual presentation. As with its predecessors, it seems light on depth, but it tosses in a fair amount of good information about the elements in question, especially when they discuss the visual effects. 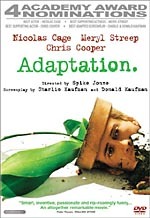 Creature Features goes for six minutes and 24 seconds and features notes from creature creator Stan Winston, effects supervisors Lindsay Macgowan, J. Alan Scott, and Shane Mahan, They talk about how the made the film’s fake snake, wolf, spiders, and grabbing trees as well as the “Handi Matic”. It’s a fairly tight and informative piece that stands as one of the DVD’s better programs. Lastly, The Author’s Journey takes seven minutes, 56 seconds and includes statements from author Daniel Wallace and screenwriter John August. They discuss the origins of the title and the story, adapting it for the screen, variations between the two, personal inspirations from both men, Wallace’s cameo in the film, and a few other issues. We learn a fair amount about the two texts in this reasonably solid program, and the personal elements add depth. Note that you can watch all these featurettes separately or during the film via a branching feature. The latter presents an icon occasionally that prompts you to hit “enter” to get more information. I prefer to watch them on their own rather than through this “Fish Tales” option, but it’s nice to have a choice. A trivia quiz called “The Finer Points” tests your Tim Burton IQ. It offers multiple choice questions about his work. If you answer them all correctly – which isn’t difficult, since you can try more than once – you’ll get a reward: a short featurette about the creation of the “time stands still” sequence. We hear from visual effects supervisor Kevin Mack and Burton in this 117-second snippet. It doesn’t tell us much, but it’s a decent reward for completion of the quiz. When the DVD opens, it presents a few ads. We get clips for Secret Window and Spider-Man 2. These also appear in the Previews area along with trailers for Big Fish, 13 Going On 30, 50 First Dates, Hellboy, You Got Served, Mona Lisa Smile, Something’s Gotta Give, The Triplets of Belleville, the Big Fish soundtrack, and The Company. A change of pace for Tim Burton, Big Fish offers a pretty winning piece. 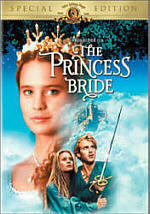 The movie presents a quirky but still rich and believable fable that works well in most ways. The DVD suffers from surprisingly flat picture quality but offers very solid audio and a decent set of extras highlighted by Burton’s best-ever audio commentary. Big Fish comes with my recommendation.